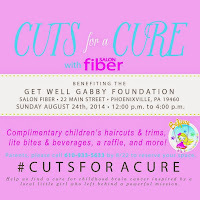 ABOUT GET WELL GABBY FOUNDATION: The Get Well Gabby Foundation was founded in 2012 with a passion and courage to fight for a cure for childhood cancer in memory of Gabriella Vogel. Gabby, a vibrant and happy five-year-old Phoenixville girl, was diagnosed with an explosively aggressive, malignant tumor called Diffuse Intrinsic Pontine Glioma (DIPG) in the summer of 2011. With the local community as her fellow soldiers, Gabby fought with such braveness against this terminal diagnosis until she lost her battle on September 11, 2011 with her family by her side. The foundation aims to fund cancer research to help find a cure, and also provides care to families who are battling a childhood cancer diagnosis. www.getwellgabby.org – Facebook.com/GetWellGabby – Twitter: @getwellgabby. ABOUT SALON FIBER: Salon Fiber is a hip, urban salon located in downtown Phoenixville. Catering to both men and women, Salon Fiber excels at meeting the specific hair and beauty needs of each client's personal style and lifestyle. 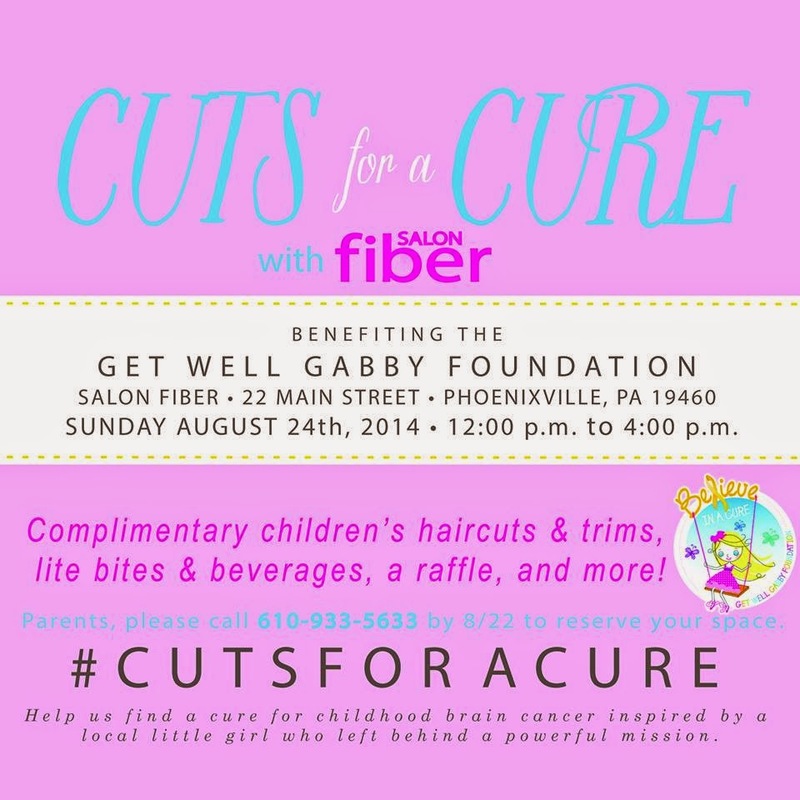 Salon Fiber provides the latest in hair cutting, coloring, and styling in a fun and down-to-earth environment. Salon Fiber is located at 22 South Main Street, Phoenixville, PA 19426.